We are all guilty of buying toys for our hens – we just love to spoil them rotten! That’s ok, they deserve it after working hard laying those eggs and raising chicks. One ‘toy’ that has been popular for a while now is the chicken swing – wait, what? A chicken swing? Yes, you heard me right, a swing for the ladies to sit on and um…swing. Hopefully your ladies won’t go as wild as your teenagers on the swing, but some do seem to enjoy a little rocking to and fro. 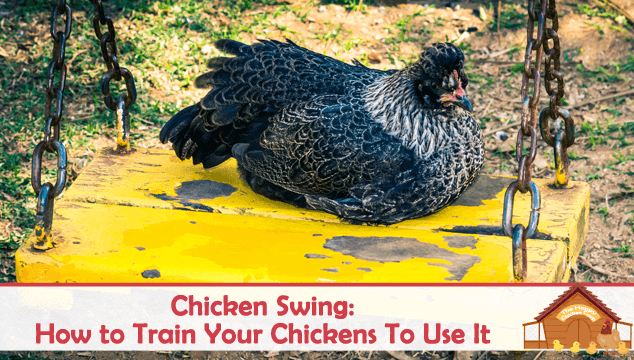 In this article we look at the best chicken swings available, discuss how to train your chickens to use a swing and much more. Why Should Chickens Use A Swing? 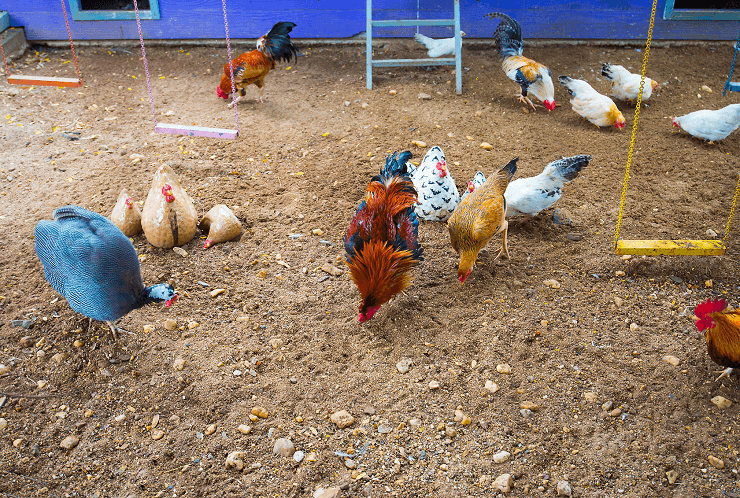 Why give your chickens a swing, or any other toy for that matter? Chickens are much more intelligent than we give them credit for, they have the intellect of a 5-6 year old child; they are curious and get bored at times. With boredom comes mischief: feather picking, bullying and other anti-social behaviors. This behavior is worse if they can’t free range so it is important to provide them with other outlets for their energy and curiosity. Providing toys gives them some mental stimulation and enrichment of what can be an otherwise boring existence in the coop and run. Swings can be very soothing as they move gently back and forth. Some chickens love swings, others not so much, but if you raise them from a young age with a swing they will be more inclined to use it. 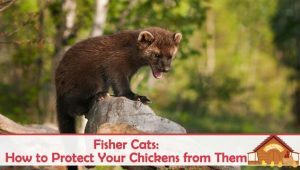 Keeps chickens entertained and reduces antisocial behavior such as bullying and pecking. 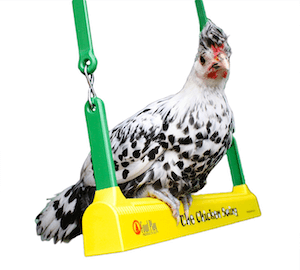 By far the most popular chicken swing available. You will likely have to resort to bribery and training to get your older girls to be comfortable with using the swing. I think the movement of the swing is probably a bit frightening for them in the beginning so they need to get used to it. To start out, put the swing no higher than 18 inches from the ground and make sure it is in a sheltered spot where the wind can’t blow it around. Set up the swing and see what happens, if you have younger, curious birds they may well take to the swing without any encouragement at all, but the older ladies tend to need encouragement. You will need to start with your most trusting and laid back hen; one that you can do pretty much anything with. The next piece is essential – ensure you have a pocketful of treats! Take your hen and gently place her on the swing talking to her all the time and encouraging her. Reward her with a treat then let her sit or hop off. Repeat this move a couple of times a day until she is comfortable just sitting on it. Once she has reached that level of comfort try moving the swing gently and see how she likes it. Talk to her, reward her while she is gently rocking. If she gets scared, stop the rocking and go back to just sitting. This will take time but it can be done. Eventually a couple of brave little souls will join her on the swing – especially if they get treats! Personally, I have given up with the swing since the girls are not at all interested. Mine would rather enjoy ‘rewarded’ activity such as a cabbage tetherball. If your only motivation to get a swing is to provide stimulation and you have older hens, unless you are willing to spend time training them I would save your money. Try something else to get them moving and interested. This can be a quick and simple DIY project if you are handy. I have previously made a swing with a 2×4 wood base and rope ties, but the ladies didn’t use it very much. In a repeat trial I used the same 2×4 perch (about 3ft long) and made rigid side struts for stability and rope to affix to the roof of the coop. If you want to ‘upgrade’ the swing, you can fix sandpaper on the perch to help keep the girls nails filed down a bit. Again, the chickens didn’t use it much at all except for the bantams. So, this leads us in to the next section. Anything that holds their interest can be considered stimulation. A favorite toy of mine is a mirror. Hens seem to love looking in a mirror; whether or not they know who is staring back at them is up for debate, but they do spend time doing it! It’s probably not a good idea to put a mirror in front of a rooster – you don’t want him picking a fight with himself! Please use a shatterproof mirror if you can. You don’t need 7 years bad luck! Another favorite I mentioned was the tetherball – it can be a cabbage, head of lettuce, broccoli or similar. Hang the item just above chicken height so they have to jump a little to get a beak-full, great exercise for your ladies. If you want to join in the fun, get some frozen blueberries or similar type fruit and toss them into the compound. Watch the feeding frenzy, but mind your fingers if you are hand feeding. Those berries are irresistible to chickens! A suet feeder stuffed full of their favorite greens, fruits and veggies is another crowd pleaser. Now you should know everything you need to know about chicken swings. Remember young chicks are raised with a swing they will become accustomed to them and use them more frequently. 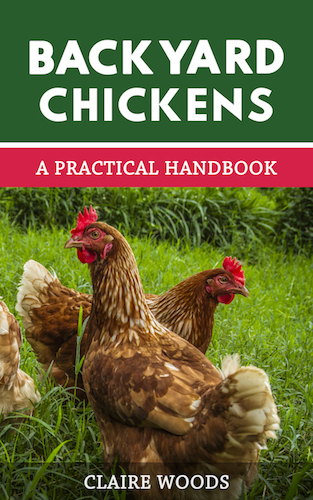 Whereas older chickens will need some encouragement; refer to the training section above for more help. For some reason, bantams seem to take to a swing or thick rope or vine for perching on, perhaps because they are better flyers. 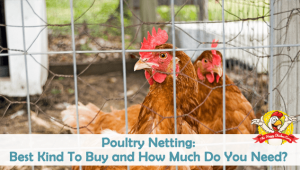 If you don’t have the time and energy for chicken training then save your money. Use other forms of interactive play and stimulation; all of the other toys mentioned above are cheap, easy to do and chickens love them. That is so fun! My family has never even considered that. We might try it. We just got some chicks. Maybe they would like it. This is a great blog. Great job!